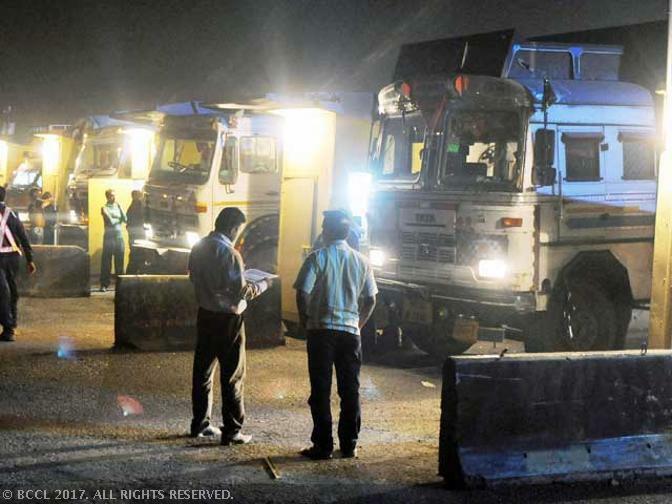 To facilitate hassle-free passage, a dedicated lane for FASTag enabled vehicles has been operationalised at all toll plazas on national highways across the country from today, the government said. “NHAI achieved the first milestone in electronic toll collection when it operationalised one dedicated FASTag lane at all toll plazas from today. Now FASTag enabled vehicles can cruise through the dedicated FASTag lane without stopping at toll plazas on national highways,” the Ministry of Road Transport and Highways said in a statement. The FASTag is an RFID tag available both online and offline through banks and common service centres. Two mobile applications were launched by the National Highways Authority of India (NHAI) last month for ease of obtaining FASTags. “Thousands of road users have downloaded the applications and purchased FASTag in less than two weeks. The penetration of FASTag has increased to 18 per cent as on August 31, 2017,” the statment said. The government of India has mandated that new vehicles being sold with effect from October 1, 2017 will be affixed with active FASTag. The “FASTag Partner App” will facilitate more than 6,000 dealers in the country to access a single platform and activate the FASTag at the time of delivery of vehicle, it said. NHAI has also launched massive awareness campaign to make road users aware of the FASTag and its benefits. “NHAI officers have been tasked to visit toll plazas personally and ensure operationalisation of single dedicated electronic toll collection lane. NHAI plans that as penetration of FASTag increases, more and more lanes will dedicated to ETC,” the statement said.